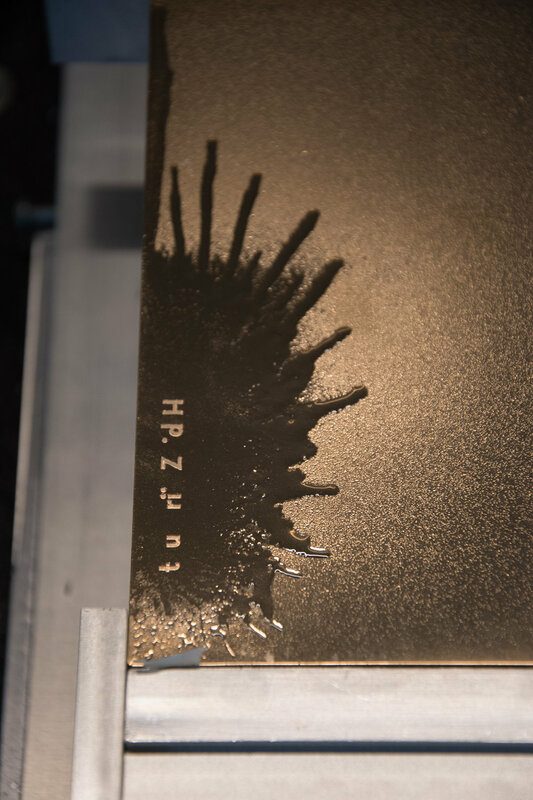 For the Prins Bernhard Culture Fund Zuid-Holland we have designed and produced 5 bronze trophies. Each trophy will be awarded every 2 years to a person that has made important achievements in his or her cultural career. 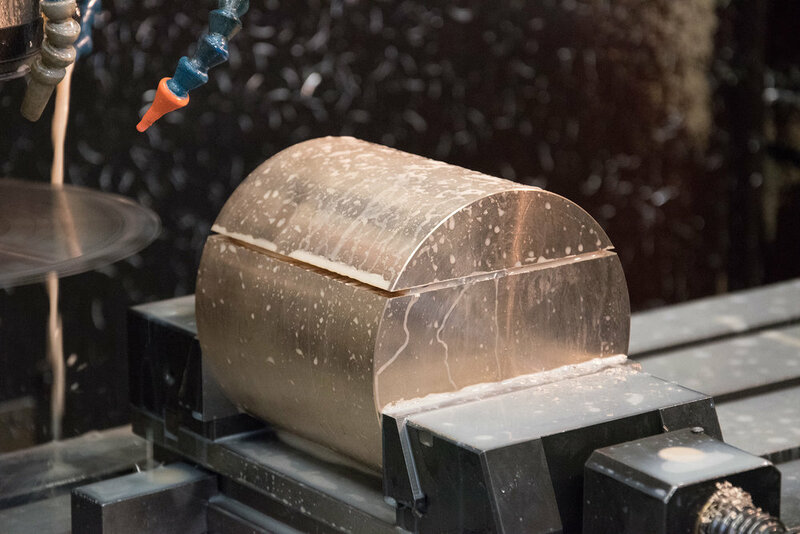 The awards consist of 5 solid pieces of bronze that have been cut from one cylindrical sand cast volume. A winner of the Culture prize becomes by definition part of a group of previous and future winners, all of them being special for their cultural achievements. That idea is symbolically represented in this series of 5 trophies that all stem from the same volume. Each piece is exactly 1/5th of the total volume but they all differ in proportions and shape, caused by the sequential cutting of the pieces. This makes each piece unique, corresponding to the idea of unique personalities of the price winners. The trophies will be awarded in the order of the cutting and hopefully in 10 years all the winners will come back together for the final winner. In the interior, the trophy can be an abstract and minimal sculpture but can also function as a book stand. Theses literally weighty trophies also refers to ingots and the value of bronze. 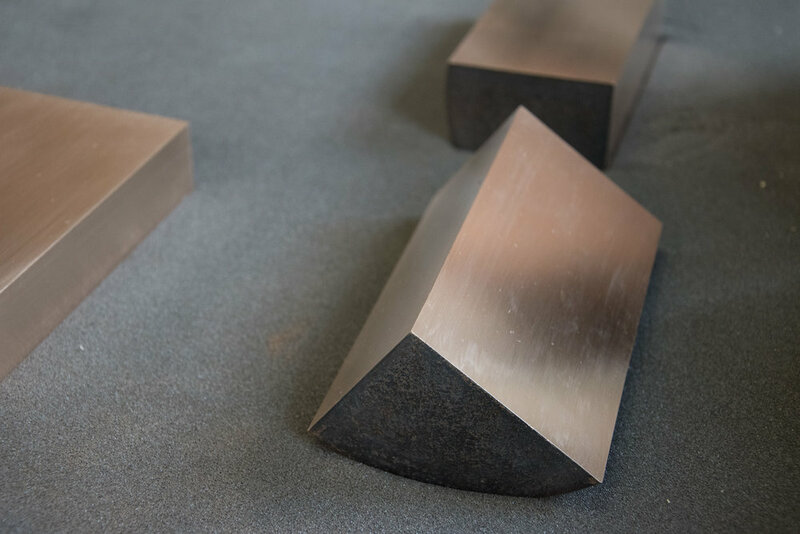 Ever since the bronze age, this metal has had value as a scarce material. These trophies can therefore been seen also today as a volume that represents a certain value. 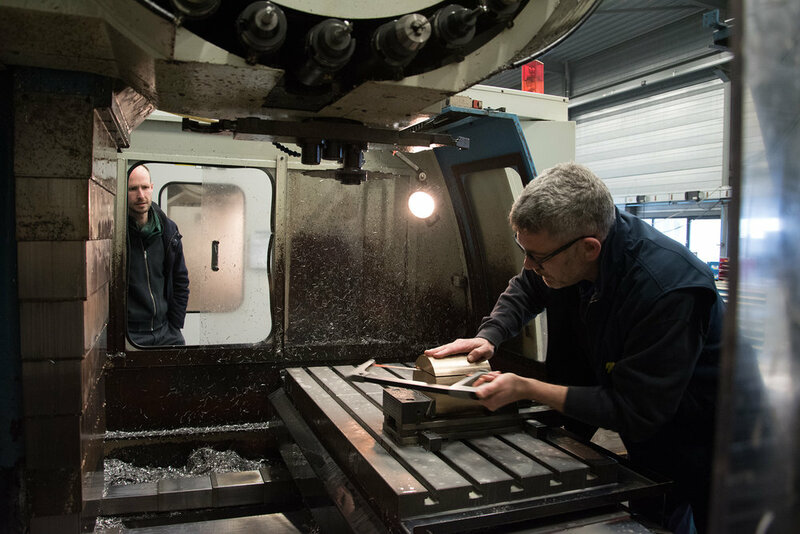 For the production of the trophies, the volume has first been cast into a sand mould. 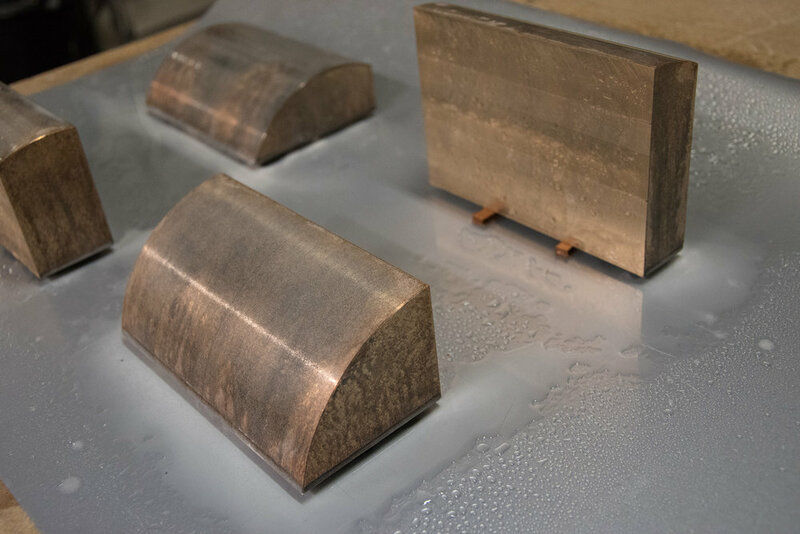 After the cooling down of the bronze, the casting runners have been cut off. 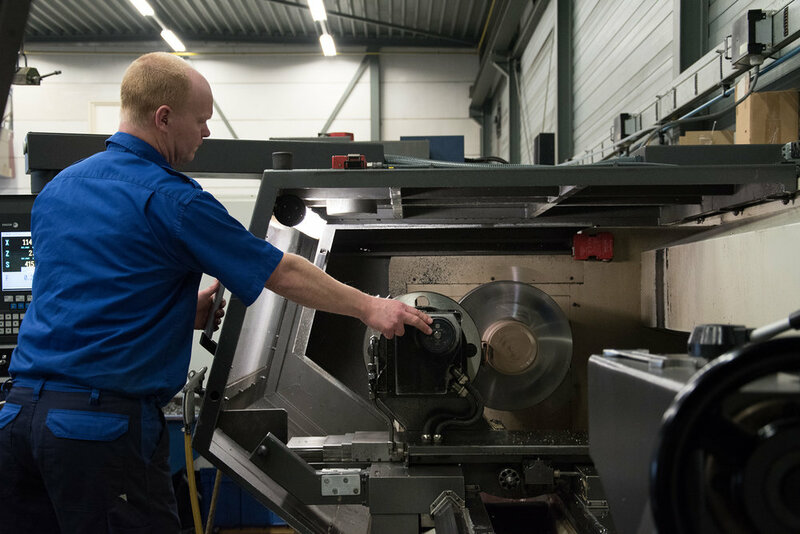 Then, the volume has been cleaned on a lathe and precisely cut into 5 pieces with a computer controlled milling machine. 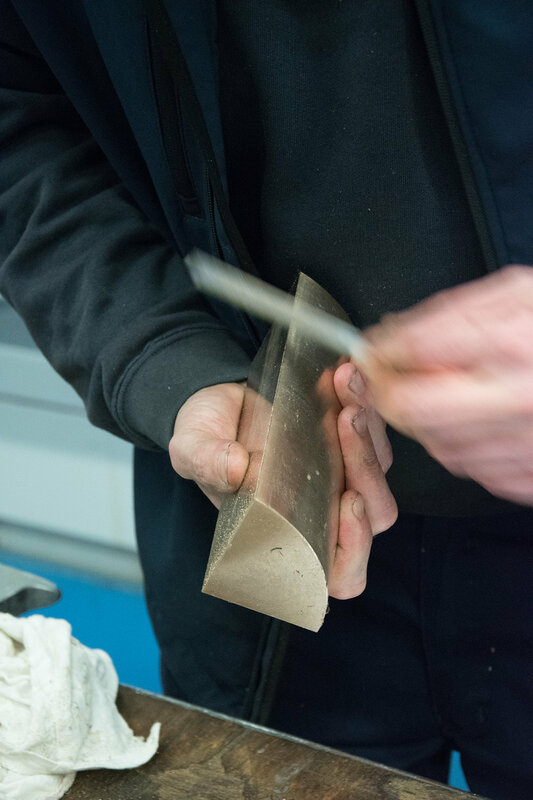 The pieces have then been treated with a patina to colour the cylindrical surface. The cut surfaces have been sanded and polished to a mirror finish. The final step was the engraving of the pieces. 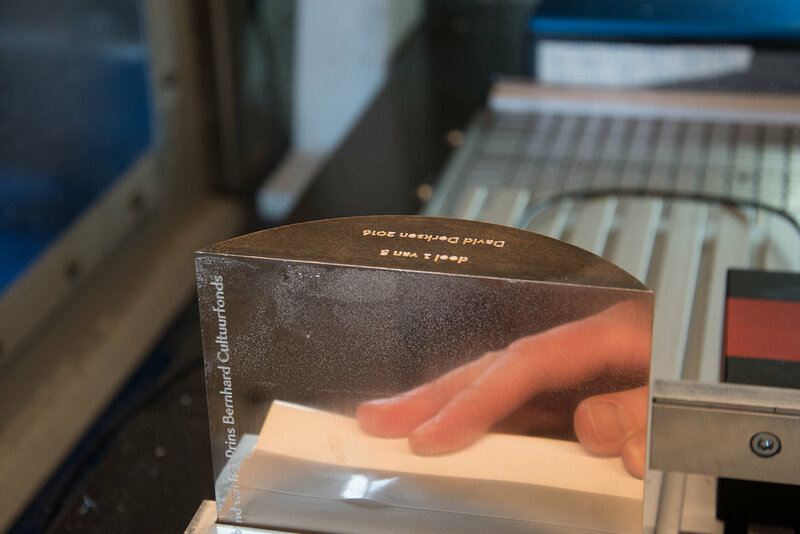 The name of the prize as well as the number of the piece has been engraved into the surface.